« Snow Day in the Ripper! With a close call and a shoulder injury it’s safe to say that my paddling has taken some hits this year. I’ve also been extremely fortunate though, and have had some fantastic opportunities this year, so I’m working hard to learn from all the experiences I’ve had in the last 12 months and progress on my weaker areas. Fresh from a big expedition, the plan was to head back to Chile and take time to work on my paddling foundations; this meant stripping back and going back to basics. As you can imagine, this was pretty frustrating, to begin with. That was until my friend Melissa encouraged me to try out her new boat – a Ripper. Suddenly my local run was the best it had ever been, and I’d be smiling until the take out! Over the next couple of weeks, I paddled the Ripper whenever Melissa wasn’t using it. Without even realising, I was developing my edge control, drive, transitions and so much more, by working the river and just having fun! The Ripper is speedy, slicey, a whole lot of fun, and the new love of my life. I’m no expert on boat design. I couldn’t tell you much about different specifications or why one boat has a displacement hull, and another boat doesn’t. 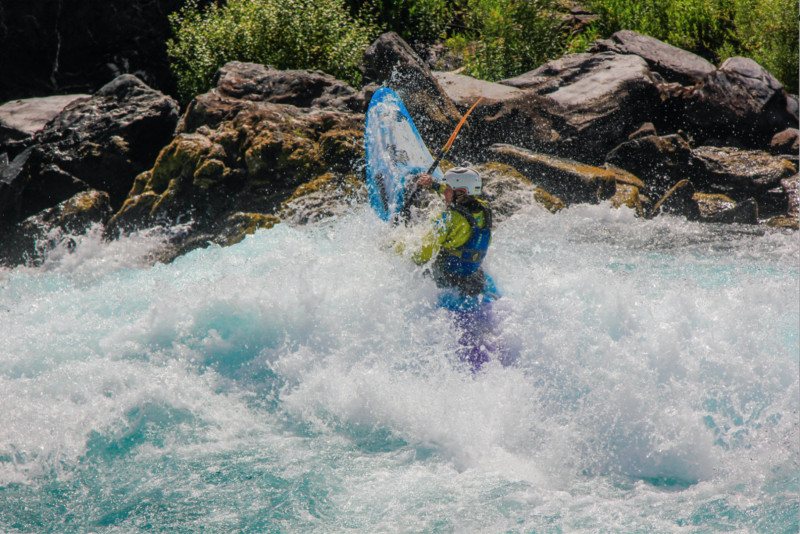 My preferred process is to paddle it and see how it feels; then if I like it, I try it out on more rivers and different styles of whitewater. 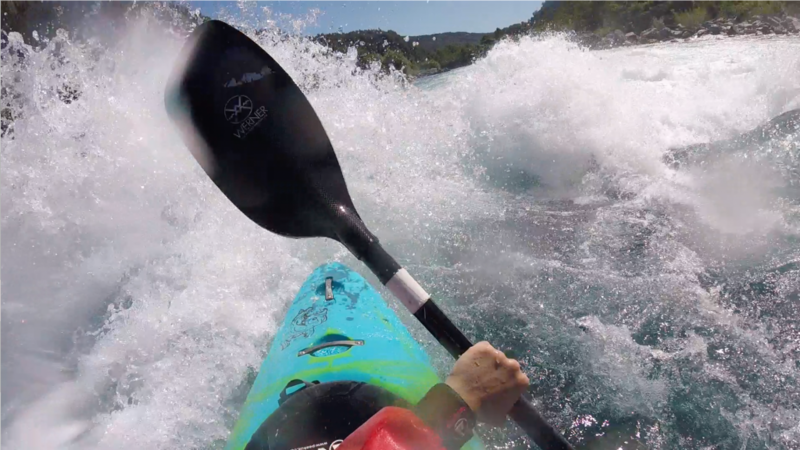 Working at Pucon Kayak Hostel in Chile during the winter means that I am lucky enough to be able to paddle a variety of kayaks. My first day in the 9R was on the Upper Trancura, and honestly, I felt a bit all over the place. 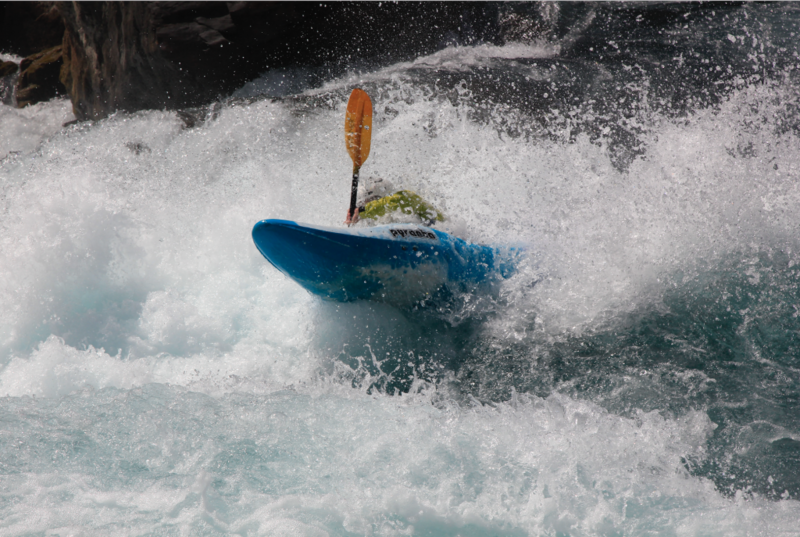 I hadn’t taken the time needed to outfit it properly, and it was very different to the kayak I had been paddling for the last few years, so as soon as I got in the bigger rapids, I didn’t feel in control. That evening, I sat in the yard, tunes playing, and spent some time getting all the outfitting right for me. The next morning I took it back on the same section, and it felt awesome. Fast and smooth, easy to get on edge, great to drive over eddy lines and boiley water, as well as punch waves and boof holes. I liked this boat a lot. So much so in fact that I ran the rapid I had always walked around. With a river wide curling entry hole, followed by powerful water trying to toss you around before a big boof into a huge pour-over, it’s pretty daunting! The speed and manoeuvrability of the 9R helped me to drive through the tricky lead-in and keep online through the pushy water. I did flip in the pour-over (and was luckily not held! ), but I guess that gives me something to go back and improve on! I’ve got a lot of work to do over the next few months, but something I have learnt straight away is that mixing things up from time to time is hugely beneficial. The Ripper and 9R are very different styles of kayak, but both have excellent characteristics, and I’m looking forward to spending more time in both of them!